Maine is known world over for its spectacular rugged coastline, with over three thousand islands and picturesque harbours. 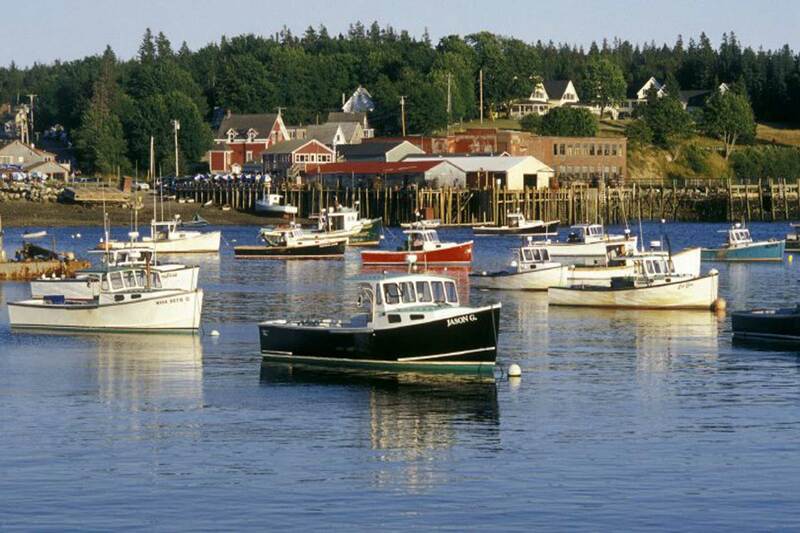 Maine is full of traditional New England towns and quaint costal villages that feature excellent shopping and fine family friendly restaurants. Maine evokes images of ship building and nineteenth century sea captains. By the middle of the nineteenth century Maine had established itself as the ship building capital of the USA. Some of the world’s finest sailing boats are still built here. Up and down the coast there are mansions built by wealthy sea captains, and ancient lighthouses, many of which have been converted into bed and breakfasts. Maine has several well known lighthouses such as the Portland Head Light at Fort Williams Park. It was commissioned by George Washington in 1790, and is the oldest one in the state. There are sixty working lighthouses up and down the Maine coast. The town of Freeport is known internationally for its impressive range of outlet stores, making it an international shopping mecca. The main street is home to Ralph Lauren, Banana Republic and the L.L. Bean flagship store, which is open 24 hours a day, every day of the year! There is also a Brooks Brothers and a Jockey store. Many of these outlet stores sell at a heavily discounted price, so you are bound to find a bargain or two! Maine is famous for its cranberries and blueberries… blueberry pie… drinking fresh cranberry juice on a summers day… picking delicious wild blueberries. No mention of Maine is complete without a word on lobster. Marching steadily across the Atlantic’s rocky floor into the waiting traps of local lobstermen, the tasty crustacean is the state’s most noteworthy culinary claim to fame. Clams, shrimp, scallops and mussels are also found in abundance off the Maine coastline, and can be enjoyed in one of the many great restaurants on the coast.